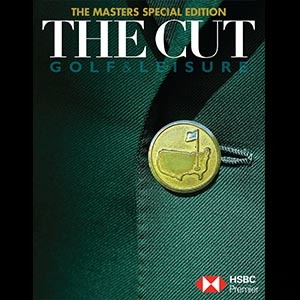 THE CUT has been the market leader in its category for more than 17 years, providing golf enthusiasts with news, comment, instruction, product information, course reviews and inspiration. high-quality 200-page ‘Living & Travel’ magazine WORLD. Under Hope’s direction, THE CUT (Golf & Leisure) has expanded in size to 192 pages and, like WORLD, now comes out four times a year – Spring, Summer, Autumn and Winter – each issue packed with world-class features. Regular contributors include former caddy to the stars Steve Williams, long-time TV commentator Brendan Telfer, Canadian golf writer Brian Kendall, James Graham in Australia, the British writer-photographer duo of Andrew and Paul Marshall and Emirates-based Thomas Hyde. Well-known local writers and commentators include Heather Kidd, Patrick Smith, Robert Tighe and Bob Howitt. International content might include an interview with Bubba Watson, tips and instruction from the likes of Rory McIlroy, Jordan Spieth or Michelle Wie, the golf courses of Las Vegas or a preview of an upcoming Major. ‘Golf Concierge’ is a richly illustrated overview of international golf resorts and destinations, while ‘Golf Diary’ presents upcoming local and international events, golf tours and cruises and golfing getaways. The magazine’s ‘Pro Shop’ showcases the very latest in golf club technology and accessories.